Choosing a microphone is not as simple as it might seem at first. The unrolled brand,”talking” value – is far from being the primary criteria. 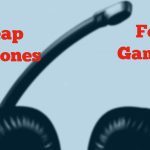 To clearly understand what microphone to buy for vocals, you need to “try on” it and make sure that the device advantageously shades the dignity of the voice. Or, at least, does not make obvious little cons. The variety of modern microphones covers a huge range of both in price and functionality. To give unequivocal advice to the request “advise the microphone for hip-hop” is impossible: the objective characteristics of the device always overlap with a subjective idea of it. 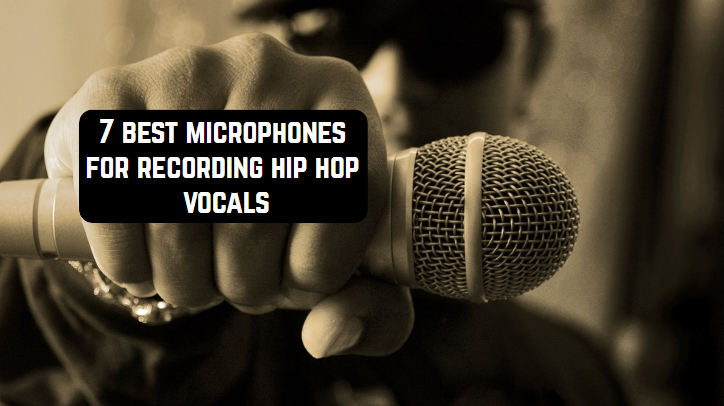 Let’s look at the best microphones for hip-hop recording. The AT4040 is a condenser microphone, has a large aperture for obtaining smooth and natural sound characteristics. It can be employed in a diversity of situations: in the studio and live format, as well as for highly demanding digital recording systems. The microphone is great for recording such a complex genre as hip-hop. Low noise, high sound pressure level, wide dynamic range. The transformerless circuit virtually reduces low-frequency distortion and ensures an excellent proportion of high-speed transient. The copper nickel-plated element of the acoustic partition ensures improved element stability and sensitivity. The open-acoustic environment of the balanced housing reduces to minimum undesirable noise. Vibrating suspension provides excellent insulation. Sensitivity: -32 dB (25.1 mV). Max. input sound pressure level: 145 dB SPL, 1 kHz at 1% THD. Signal to Noise: 82 dB. Power requirement: phantom 48 V, 4.2 mA. Dimensions: 170 mm in length, the maximum diameter of the body is 53.4 mm. 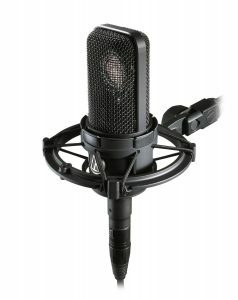 Microphone Rode NT1-A is a low-noise, studio, condenser, professional microphone, which has only 4dB of its own noise. This sample is a modernized and improved version of the classic microphone NT-1 from the Rode brand. The NT1-A has a warm sound, high clarity, ability to perceive high dynamic range and extended dynamic range. All the characteristics of this model indicate that NT1-A is what you require to have for high-quality vocal recording. The metal microphone case has a glossy nickel finish. With a cardioid pattern, shock-absorbing inner caps for the capsule, gold-plated output contacts and a large one-inch primer with a gold-plated diaphragm, the Rode NT1-A has become an indispensable attribute for high-quality recording in your recording studio. High-quality assembly and materials of all components will provide high reliability in work and quality. This model is fully developed and manufactured in Australia. The kit with a microphone also includes a vibration-proof suspension, a cover and a 6-meter XLR cable. The model of the studio condenser microphone Audio-Technica AT2035 is the older version of the standard AT2020 microphone in its price range. 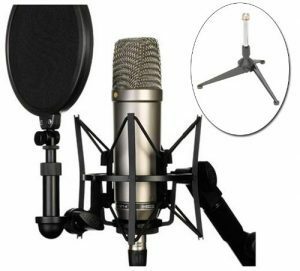 It is suitable for recording vocals in studio conditions or in improvised home studios, which for themselves now organize many amateur musicians. The model has become even more universal, it is equally suitable for all types of vocals: male, female, and extreme. The low-weight diaphragm is designed in such a way that it expands the return on frequency and dynamic range, and also empowers the microphone with high dynamics and significantly reduces noise relative to the signal. A directional cardioid minimizes third-party noise. The AT2035 is connected via a three-pin XLRM connector, it can operate from phantom power supply 11-52 V.
The microphone has a cardioid pattern and a sixteen-bit A/D converter. The model is unpretentious in use, which will also be appreciated by the owners of temporary and mobile studios. Its threaded holder facilitates easy installation, and the reliability of the design will allow the device to serve for many years. 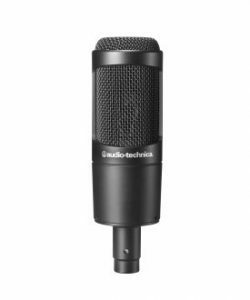 Audio-Technica with this model proves that in order to become the owner of a true cult device that set standards in the production of condenser microphones, you do not have to pay a lot. It will become faithful in one’s favorite business both for the amateur and for the professional. Frequency range FROM: 20 Hz. Frequency range TO: 20000 Hz. Max. Sound pressure level: 148 dB. Phantom power: 11-52 V DC, 3.8 mA. 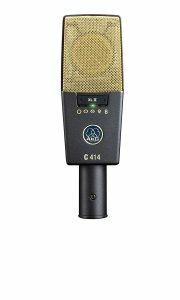 The C 414-XL-II is a sound-enhanced capsule used in the classic C 12 tube microphone. For a wider range of low-pitched sounds and for reproducing without the slightest distortion, the C414-XL-II uses Transformerless electronics of the Ultra Linear series (superlinear). The result was a microphone that meets the stringent requirements of digital recording but on the other hand, it is able to gently and subtly convey all the subtleties of the manner of performance of any artist, and especially it concerns the performers of such a musical genre as hip-hop. Max. Sound pressure level (SPL): 158 dB. Signal to noise ratio: 88 dB. Output impedance (Impedance): 200 Ohm. Studio microphone RODE NTK – the best from the modern and classical worlds. This is a condenser tube microphone with a large diaphragm from the Rode company, which can offer you an incredible quality for its price. He can compete with many vintage microphones of a higher class. This microphone uses a capsule with external polarization. The lamp used here is 6922 with two triodes. The microphone combines a rich natural sound and a light tint of vintage with an incredibly wide dynamic range, giving you the best of modern and classic worlds. Due to the slightly elevated level of the presence effect with this microphone, everything sounds just fine, in particular, vocals. It is also worth noting that the true sound of the recorded source is revealed when recording at a high volume level. In the kit, you will find the power supply, power cable, microphone attachment, and case. Studio microphone RODE NTK will give your records a professional gloss. Lamp condenser microphone for studio use. Power supply, fixing, cable, and carrying case included. 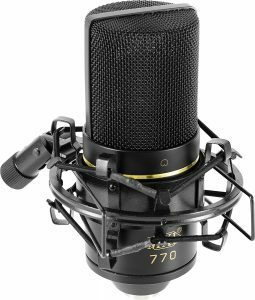 Inexpensive studio microphone MXL 770 is perfect for recording in a home studio and professional studio. Microphone Marshall Electronics MXL 770 is a microphone that embodies all the latest achievements in the world of sound recording and microphone construction. 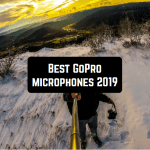 The MXL 770 microphone can be safely attributed to the segment of budget microphones, however, it does not prevent its recognition by recording professionals all over the world, its technical characteristics speak for themselves. This is a classic condenser microphone with its inherent attributes, such as phantom power. The 20mm microphone diaphragm is covered with a 6-micron gold plating, the very fact of using it in the production of a budgetary microphone – gold, speaks of an exceptional approach to producing a really high-quality microphone. Marshall Electronics MXL 770 will cope well with all tasks in the full frequency range from 30 Hz to 20,000 Hz, it clearly sounds good in the upper range, but also with the “bottom” and “medium” will cope perfectly well. The MXL 770 microphone itself is equipped with a high-quality FET-preamp (on FETs) with a balanced output. Unambiguous determine the place of use of this microphone – it is impossible, it equally well shows itself both for analog recording and for digital. Frequency range: 30 – 20000 Hz. S/N Ratio: 74dB (Ref. 1Pa A-weighted). Noise level: 17dB (A weighted IEC 268-4). Maximum SPL for 0.5% THD: 137dB. Phantom power 48V ± 4V. 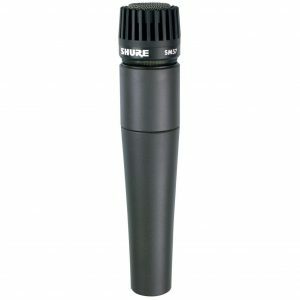 Microphone Shure SM57-LCE cardioid instrumental. This is a universal dynamic model for vocal performers. The microphone can be used in studios and concert venues. The body of the device is made of black metal. At the performance, the microphone can be held in hands. The microphone provides a clean and high-quality sound and can be used for professional sound. The Shure SM57-LCE is wired but can also work in wireless mode. The power cable can be disconnected. The wireless mode provides a clear and high-quality transmission of sound and voice at a distance of up to 100 m. When used in a microphone, the battery is used. The minimum frequency for this device is 40 Hz, and the maximum frequency is 15,000 Hz. The quality of the materials guarantees the output signal at a high level with effective feedback suppression. The price of this model of the microphone is fully provided with functionality and technical characteristics.